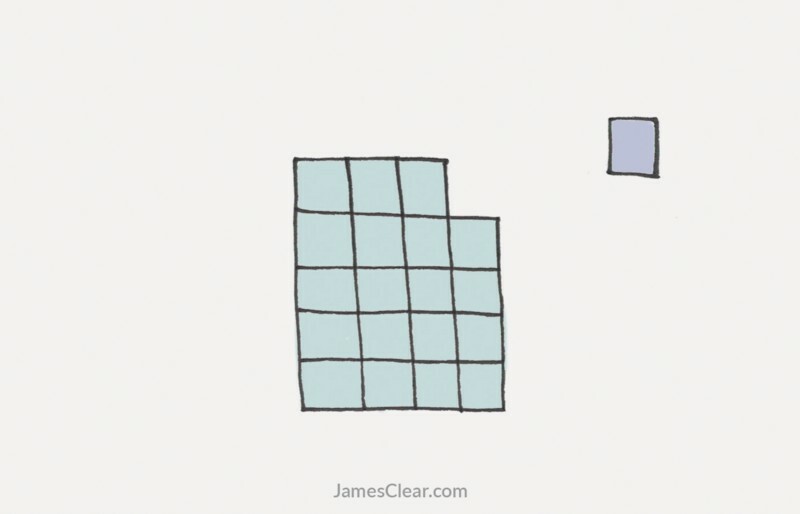 From the article originally published on JamesClear.com. Psychologists call these specific plans “implementation intentions” because they state when, where, and how you intend to implement a particular behavior. However research has also discovered implementation intentions only work when you focus on one goal at a time. This is important: developing a specific plan for when, where, and how you will stick to a new habit will dramatically increase the odds that you will actually follow through, but only if you focus on a single goal. automaticity only occurs as the result of lots of repetition and practice. The more reps you put in, the more automatic a behavior becomes. 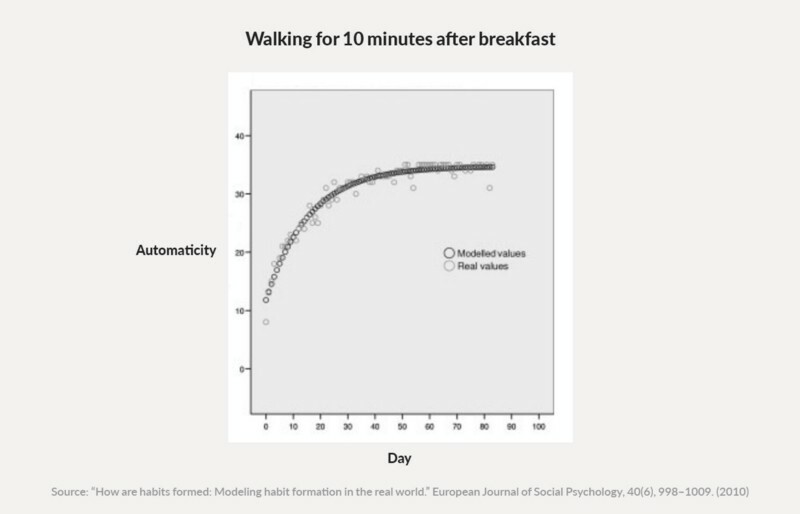 For example, this chart shows how long it takes for people to make a habit out of taking a 10-minute walk after breakfast. In the beginning, the degree of automaticity is very low. After 30 days, the habit is becoming fairly routine. After 60 days, the process is about as automatic as it can become. In the School of Thinking, the number one habit to attain mastery of lateral thinking is the DFQ. Thanks for the stimulating post. Using my very simplistic interpretation of this advice, we have the capacity to change 4-6 habits per year, one after another. (2-3 months per habit). The challenge then is choosing which to do first, then second and so on. An easy one, to get confidence or a high priority one to get bang for your habit changing buck? I am interested in others’ experience and impressions. We have limited hours , capacity , ability and energy. Choosing what to focus and then keeping that focus to create a change requires a lot of will power , energy so it makes sense to only change one aspect of life at a time and allow that change to disseminate to different aspects of life one at a time !